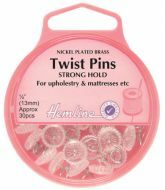 Can be twisted into soft wood, furnishing materials etc. 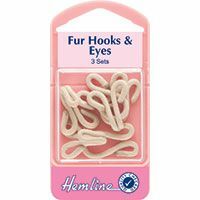 Used in home furnishing. 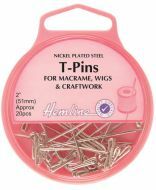 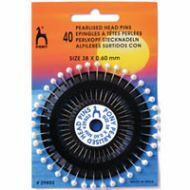 Long thick pins used for macrame wigs and craft work. 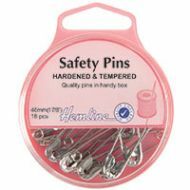 25 19mm and 25 23mm safety pins. 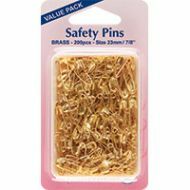 40 38mm x .6mm ivory pearl headed pins. 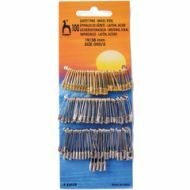 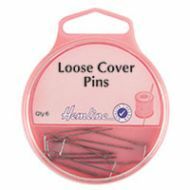 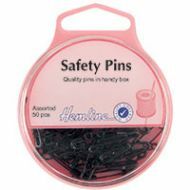 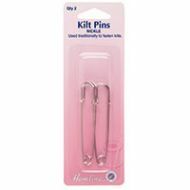 Pack of 6 forked pins for securing loose covers.